It‘s been a while that my articles were revolving around geometry and were becoming a little too serious. I was keen on sharing with you lighter and more inspiring posts. Normally, summer sewing projects take less time than their winter equivalents, but in reality it happens that I sew much less in the summer. I am less attracted by home activities such as sewing and more busy organizing the holidays and sorting all my house to get rid of all unnecessary collection of things. I wanted to catch up with an easy project, a rapid and smart transformation which would reconcile me with the free time blogger life. 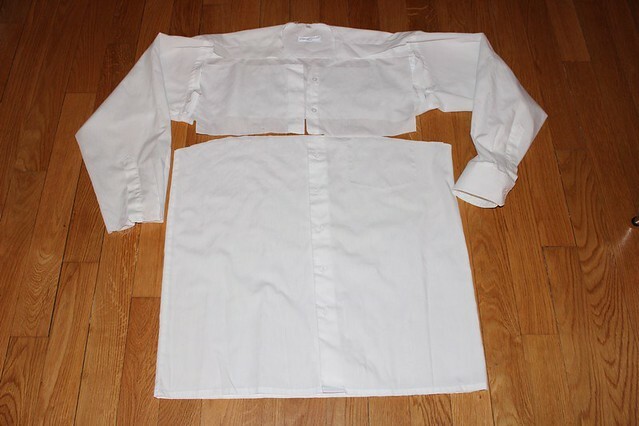 When I received two white men shirts, I knew that my task would be easy and interesting. For the first shirt, the transformation is quite radical. 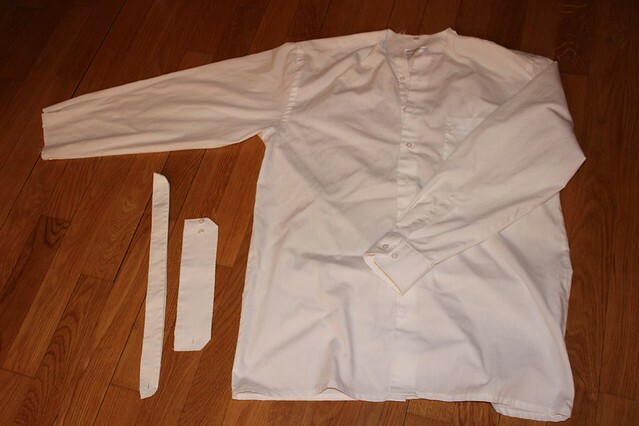 To begin, I removed the collar and one cuff that were very worn out. 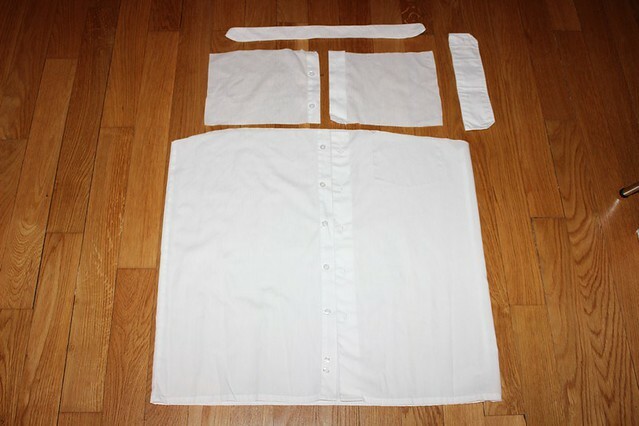 I cut the shirt horizontally under the armhole and I got everything down and two small front pieces. 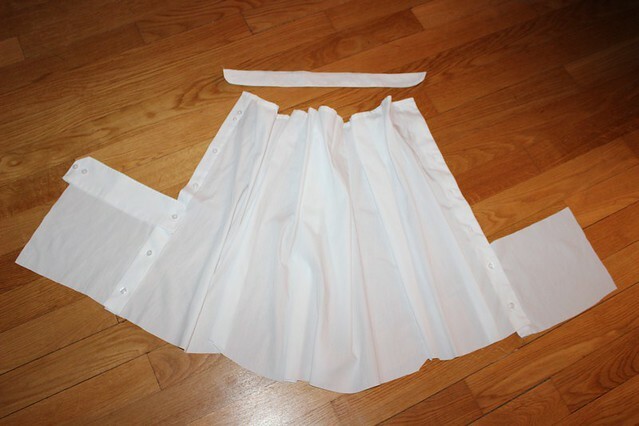 I started to create folds with the big piece of the bottom. 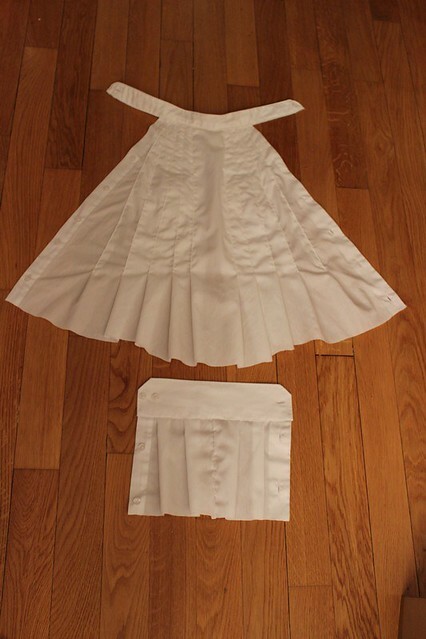 For convenience, I molded the fabric on my dress form to replicate the shape of the bust. The challenge was to create balanced folds and I had to start over several times to arrive at the correct number and width. 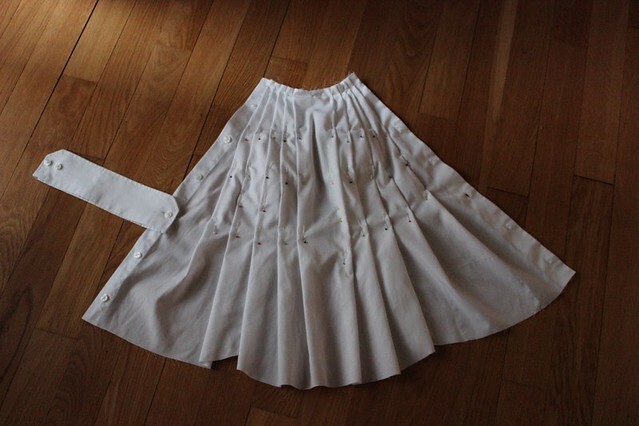 I stitch the folds from the neck to the waist. Former collar stand was attached on the folds and closes behind the neck. 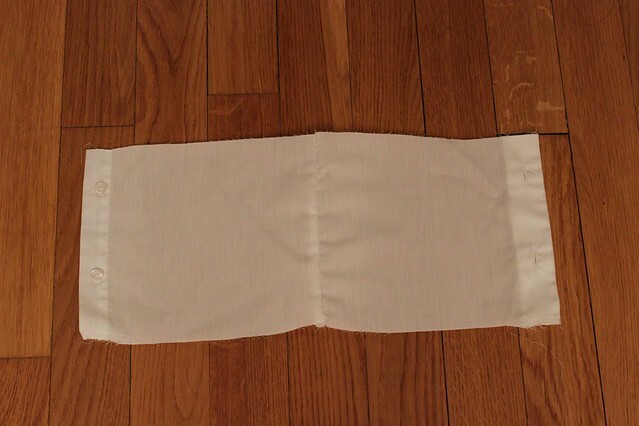 The two small pieces were sewn up front together, folded and attached to the non-worn cuff. The idea was to take advantage and to highlight the placket of the shirt. 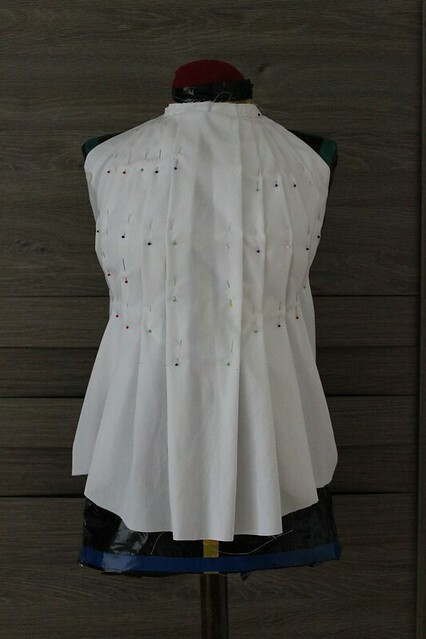 It is visible on the sides and serves to button the front with the back piece. I had to move only two buttons and the fit was perfect. The photos are below. 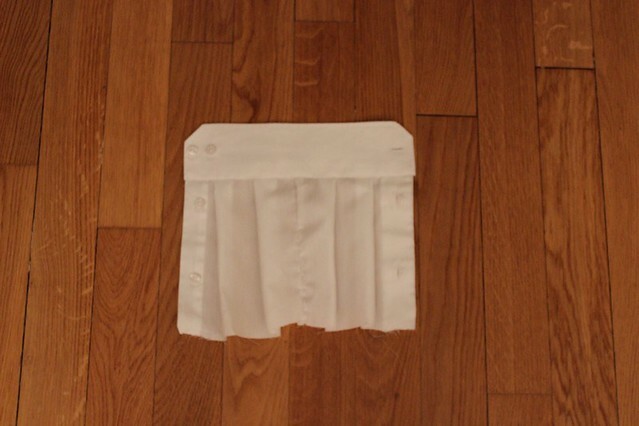 The shirt is a bit transparent but pleats make it opaque on strategic spots. You will see the result of the second transformation in September. Meanwhile, I wish you a great summer, full of inspiring sewing. 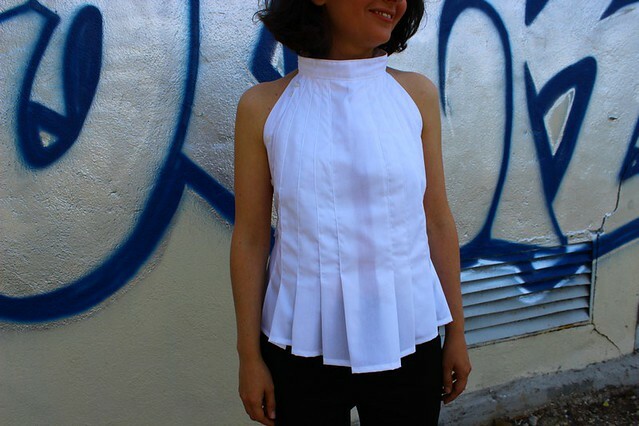 This entry was posted in Re-fashion. wow, that was unexpected refashion and soooo creative. so unique and original. nicely done. I love this shirt – it is so feminine and sweet. This took a great deal of imagination and talent. Well done!! I love your unique attitude to re-fashion. Keep working! This is the best idea! I am 63 years old and I still would wear that gorgeous and distinctive blouse!! Stunning! !